In the working world, taking a few minutes off to relax is about as ludicrous as it sounds. Despite this, many people use meditation as a coping mechanism. Regardless of the stigma associated with it, studies have shown that the secret to being more successful as well as happier and healthier is to actually do less. By stepping back and making time for yourself, you’ll find yourself accomplishing your tasks much more efficiently. In other words, from time to time you actually do need to unplug – properly. 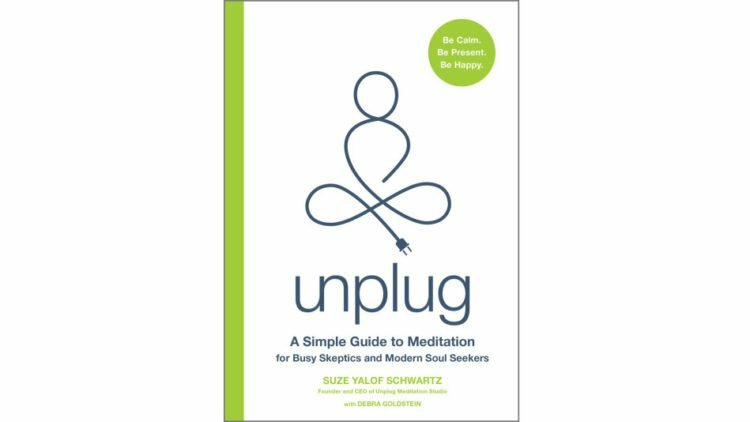 Unplug is a written by businesswoman Suze Yalof Schwartz and she is also the founder and CEO of a meditation studio called Unplug Meditation which is located in Los Angeles. well as debunking various theories. The process is simplified and absent of the frivolous, and often than not unproven, information that you’d typically find online. Multi-tasking is a skill that persons have been encouraged to master. However said skills do little for stress levels. High stress levels can disrupt both your work and personal life. Unplug displays how simple and important it is to meditate in order to maintain order in your life and ensure productivity. Overall, it’s the perfect tool for someone wanting to pick up meditation or anyone looking to get a better understanding of the practice. Motivation is the reason behind people’s desires and actions. It is one of the most powerful tools that have the capacity to change the world for the better. Unfortunately, the power of motivation is always underestimated. The commitment to carry out something successfully requires a whole new level of motivation. A well-motivated population has the capacity to bring major revolutions. Let us take a look at the types of motivation and how it is the driving impulse behind our attitudes and behaviour.